I originally started taking photographs when I turned thirty and had dreams of making my own short movies. I couldn’t afford a digital movie camera at the time, and the technology was new and unimpressive. Instead I decided to learn some basics with a still-shot camera, and that is how I ended up with my first Canon G-series Powershot. After a few years I found myself encouraged to show some of my work in a coffee shop, and then in galleries… and in this fashion a decade-and-a-half progressed in what seemed like a blink of an eye. Today I’m still taking stills, although aiming for a certain element of narrative tone and cinematic atmosphere in almost every shot. These particular images are drawn from a series of night walks I’ve taken over the last several months through various neighborhoods in Pittsburgh, PA (USA). I feel it’s important for me to point out that, while I do use in-camera filters to achieve a certain feeling in my shots, I do absolutely no post-processing. It’s not that I have anything in particular against Photoshop (in fact I hold the skills necessary to make that program sing in high esteem!). But I am striving for immediacy in my work, encouraged by my knowledge that I have to find what I am seeking “out there” rather than in the comfort and safety of my home after the fact. I feel like this approach adds some creative tension that would otherwise be missing from my work. I’ve always worked better when I set some arbitrary parameters for myself. I love exploring the underbelly and the back end of my city in the dark. Luckily I’m blessed with the size and bearing that seems to intimidate bystanders from interfering with my reveries. I have the feeling that one of the reasons people seem inclined to take time with my photos is the simple fact that many wouldn’t feel comfortable going where I go at such times as I prefer. At any rate I have a great time getting lost in the stories in my head as I wander through these alleys and gritty industrial nether-zones. I never fail to delight in the unexpected at the periphery of our everyday lives. To me there is nothing more authentic than a glimpse behind the face that society presents. I feel like my wanderings are full of such gifts, and I can only hope to capture and share them with others. I’m Jim Dobbins. 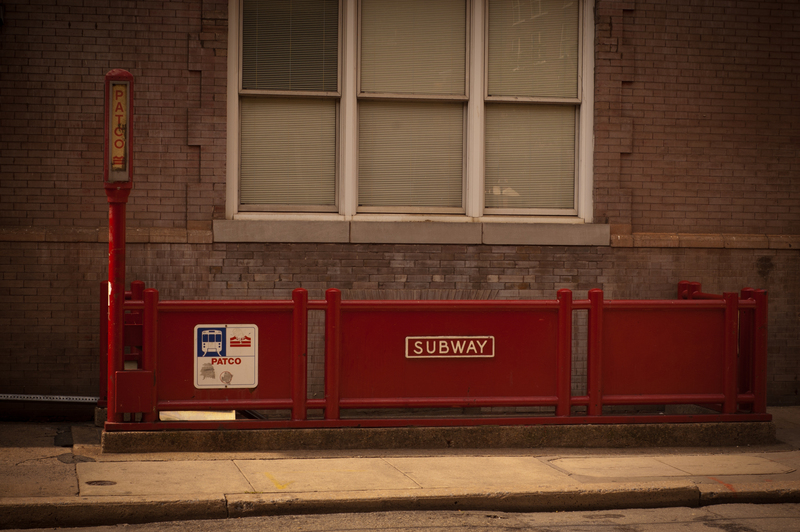 I photograph my local urban environment. My photographs are an effort to discover compelling images in this environment. Beyond the images there is no narrative. I prefer the name Smaltimore over Charm City. One overly ambitious mayor attempted to brand Baltimore, “The City That Reads.” Perhaps because of our history, there is a pervasive grittiness and determination from those that live in the city. There’s also pride in the quirky; respect for the absurd. Think John Waters and Formstone. We have come to accept imperfections. 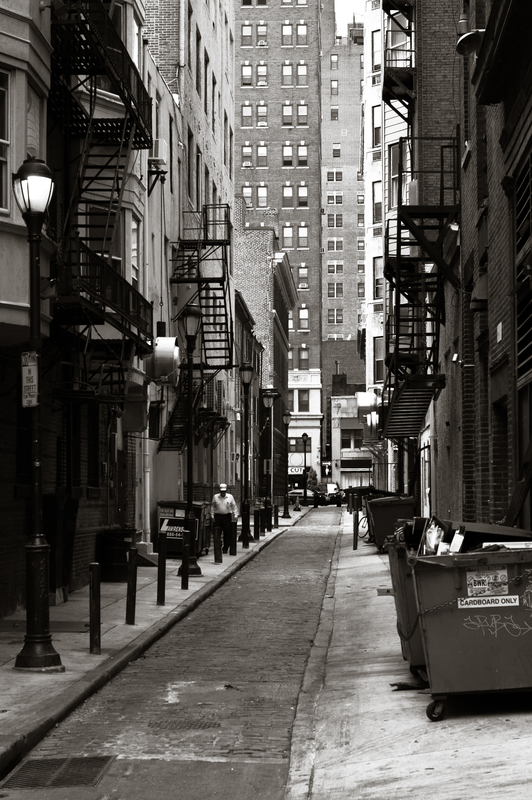 Though pockmarked and littered, Baltimore alleys speak to our character. 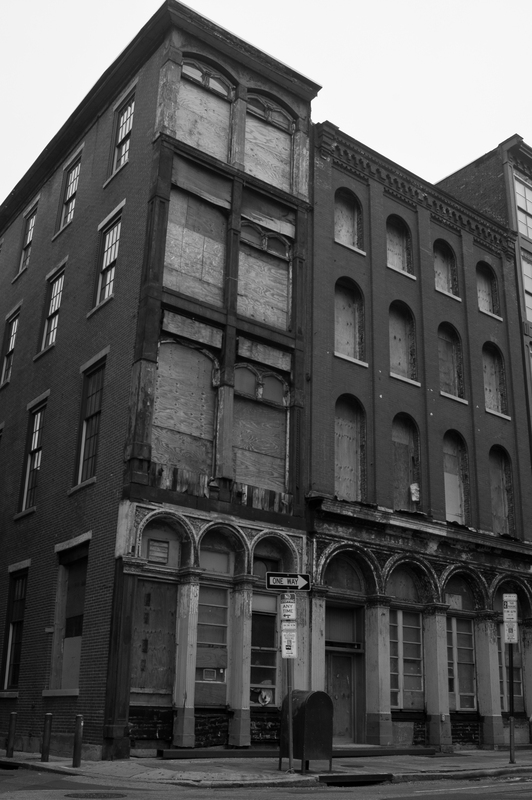 Baltimore once contained a thriving middle class supported by physical, industrialized labor. In the 1950’s, the city observed the beginnings of a persistent population decline as the nature of work changed and socio-economic conditions deteriorated. Demand for shipping, steel processing, and automotive manufacturing declined leaving the local economy dominated by lower wage service jobs and an unbalanced contribution from higher wage, higher skilled science and health-focused occupations. The decline in population accelerated due to race riots in the late 1960’s and crippling drugs and blight in the 1980’s and 1990’s. Time heals all wounds, it seems, and signs of growth are emerging. I frequently find myself exploring neighborhoods at night. I appreciate the quiet. The change in light soothes our coarseness and highlights our possibilities. Welcome to Bal’mer, Hon. 1 How long have you been taking photos? Since I was a teenager, but not continuously. For many years, I only made photographs on hiking trips into the mountains of California or elsewhere, including Canada, New Zealand and Tasmania. Otherwise, I would have spells of relative inactivity, interspersed with fits of wandering around with a camera in some of the strange places I’ve lived in various parts of the U.S. I learned film early on and still prefer it to the painful sameness-of-look that characterizes most digital “photography”, which I prefer to call electronic imaging. Since I began to use medium-format cameras four years ago, I have become interested, much to my surprise, in going out to wander the less photographed parts of New York City, particularly with the old cameras that have come my way. I don’t consider myself to be much of a city person though, and if I had my way, I’d shoot landscapes in places like Nova Scotia, Scotland or the Sierra Nevada of California. 2 Why do you take photos? I don’t know exactly why. Certain things attract my attention as I walk around that I want to photograph. Light and shadow is the organizing principle of photographic representation, and the best way to record that is with B & W film, via the tone-color of surfaces and voids. When I use various color films, the problems become more akin to painting, as the variables in composing and constructing the image increase dramatically. With the square negative of medium-format in particular, I suppose that I’m always trying to construct an essentially imaginary conception of what I encounter in the field. I’m especially conscious of how both the deep-space illusion caused by perspective cues joins with the divisions of the picture plane (photographic frame), to form an image that elicits the sensation of being in a particular place at a particular time. The way in which such formal concerns engage the edge of the frame is also something I am somewhat obsessed with, probably to an unhealthy degree. But as I noted above, the resulting image is essentially an imaginary thing to look at, without the intention of any sort of narrative or what is commonly called “realism”. What the viewer sees might be something entirely different. But I don’t have any control over that, which is a very good thing indeed. 3 What’s your favourite camera ? The camera that I have at the time, as I’ve heard it said by others. But as I’ve mentioned, medium-format is what I prefer these days. I use a 1980s vintage Hasselblad 500cm as my work-horse. There’s something about it being an SLR that I find to be oddly comforting. I also like the way it sounds when the shutter is released, especially in abandoned buildings. I also love my Rolleiflex 2.8 F, but it currently has light leak problems which I’ve yet to resolve. If I shoot 35mm, I use a Contax RTS from the 1970s, or a Leica M 4 from the 1960s. 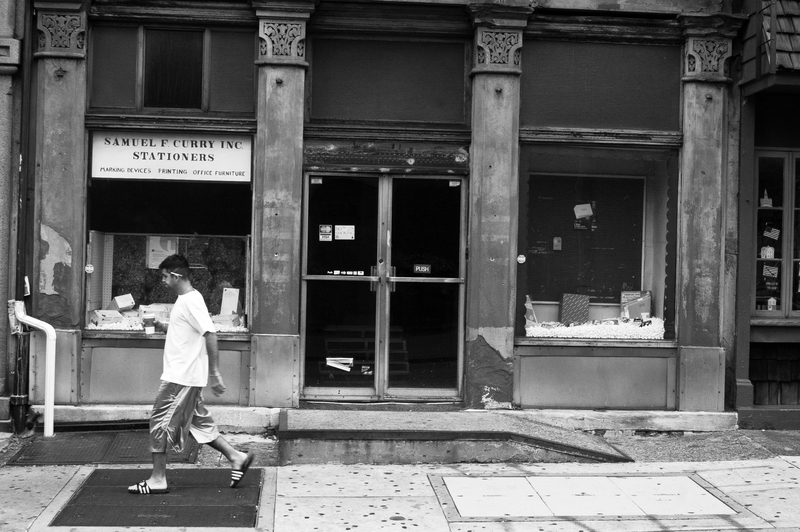 For stealth I use a Rollei 35 pocket camera, perfect for the NYC subway or intrusive street photography. Places that I find while wandering around, sometimes with fellow photographer friends who know the city much better than do I. I should say that I do not “look” for anything in particular, but find the stuff I want to photograph by chance or by luck, which is how most people with cameras work it seems. I tend to return to the places that have some sort of hold on me: certain industrial or post-industrial parts of Brooklyn, Queens or the Bronx; or, dark, abandoned buildings have a romantic/picaresque quality that is a real challenge to make work in a photograph, as so much of the “Urbex” stuff that I see is dreary, boring, and mostly unimaginative documentation; or, underneath bridges or elevated highways or anything that produces deep shadow on sunny days. With each return visit, I see something that I hadn’t seen before, and am always surprised. The only constant is a preference for mid to late afternoon light. I prefer to use so-called “standard” focal length lenses. For medium format, either an 80mm or 75mm lens. Since so much of what I photograph includes architectural elements, the inherent distortion of wide-angle lenses always causes problems for me. I love the painterly tonal quality that Zeiss lenses on both the Hassie and Rolleiflex produce, whether with B & W or with color. With 135 film, I’m more inclined to use both standard 50mm and 35mm or 40mm, medium wide-angle lenses. Leitz lenses have a more graphic tonal quality to them, which, when I’m shooting 135 film, is a refreshing change from the brilliant, smooth world of Zeiss. 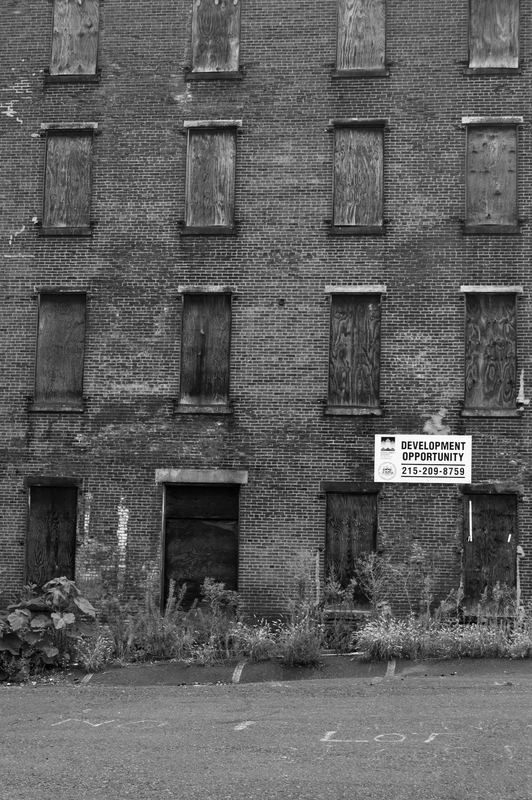 I spent a few days in Philadelphia on my way to New York from Washington, I had forgotten how derelict so many American cities can be in comparison to cities in Australia. There were so many incredible buildings falling into complete disrepair, I found it quite sad in what was the first capital city of the USA. As sad as it was it was visually inspiring. I’ll have to visit again sometime.